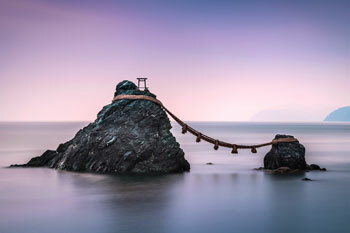 Just 16 km (10 mi) from Okayama, Kurashiki (pop. 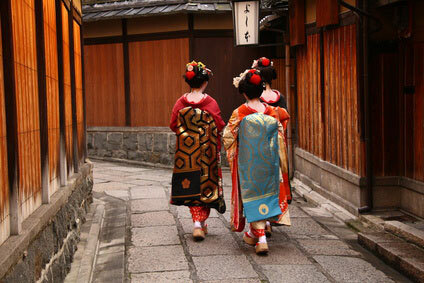 432,000) boasts one of Japan's best preserved historical neighbourhood and is indeed well-worth visiting. One kilometer south of the station the area surrounding the old canal is a jewel of old black-tiled warehouses, converted for the most part into museums. 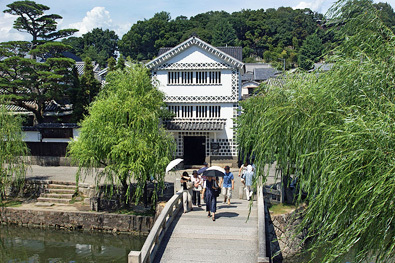 The name Kurashiki itself means "warehouse floor". 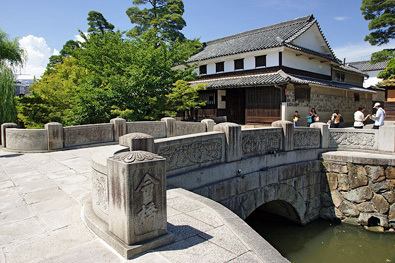 During the Tokugawa period, Kurashiki was a farming town renowned for its high-quality Bizen-mai Rice, and its warehouses date from that period when they were used to store rice. 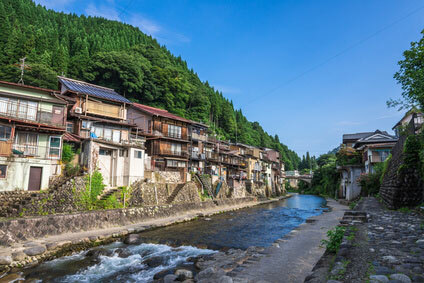 In 1889, the Kurabo Textile Company opened and the town became a center for cloth. 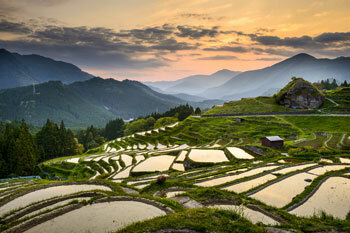 Keisaburo Ohara (1880-1943) became the local textile magnate and started gathering European art. 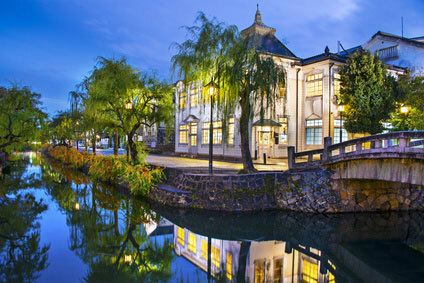 In 1920, he opened Kurashiki's first museum, the Ohara Museum of Art, still the number-one attraction, with works by Degas, Monet, Cezanne, Picasso, Matisse, Rodin, Renoir, Toulouse-Lautrec, El Greco and Pissaro. The museum, open from 9.00 am to 5.00 pm, cannot be missed with its neo-classical facade. Like all other museums in town, it is closed on Monday. Addmission costs a hefty ￥1000. The ivy-covered red-brick Kurabo textile factory buildings can be visited at Ivy Square. They nowadays house a hotel, restaurants, shops and an open-air cafés. There are plenty of other museums which no one would imagine finding in such a little town. The Kurashiki Ninagawa Museum (倉敷蜷川美術館, Ninagawa Bijutsukan) displays collections of Greco-Roman and Etruscan art. The Japan Rural Toy Museum (日本郷土玩具館, Nihon Kyōdō Gangu-Kan) has toys from Japan and around the world. The Kurashiki Archeological Museum (倉敷考古館, Kurashiki Kōkokan) does not limit itself to local ancient pottery, but even has pre-Columbian pottery from Peru. 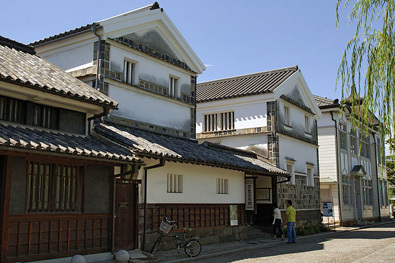 The Kurashiki Museum of Folkcraft (倉敷民藝館, Kurashiki Mingeikan). 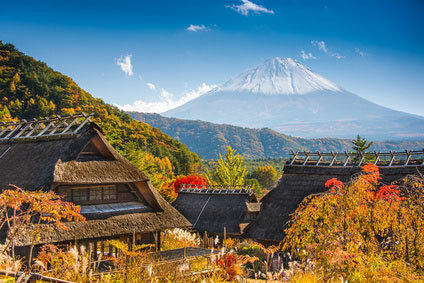 The Ohashi House (大橋家住宅) can also be visited. 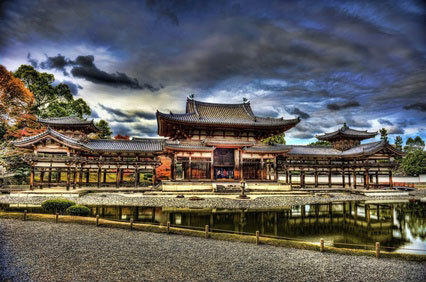 The Ohashi family were originally retainers to Toyotomi Hideyoshi. 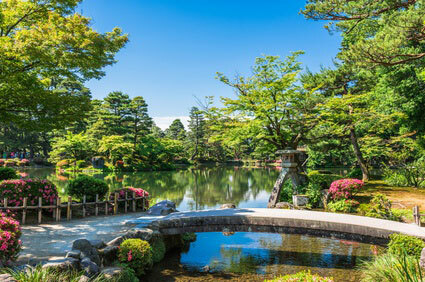 They gave up their samurai status and went on to become wealthy merchants in Kurashiki. They built an elegant residence there in 1796, which is now in a decrepit state. 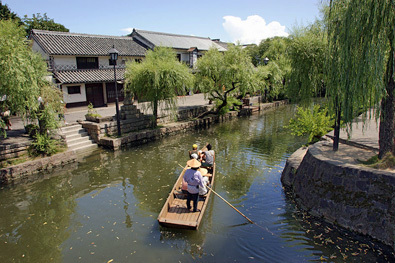 Kurashiki is best reached from Okayama (15min, ￥320). 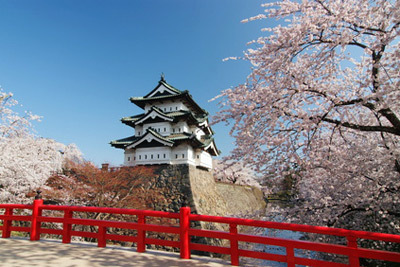 The nearest airport is also Okayama (35min from Okayama by bus, ￥680).